In our ever more regulated and controlled business environment, it is easy to get ourselves in a position where we “can’t see the forest for the trees.” We are all so concerned about achieving certain metrics, passing audits, surviving inspections, filling out applications, completing permits, holding meeting and the many things that can, at times, make work seem like work. Usually nothing will turn off the enthusiasm of a group of employees faster that the mention of the one of these “work” items. This pause is a critical element of developing a positive safety culture and must be embraced and communicated as often as possible. Safety cultures can be positive or negative. 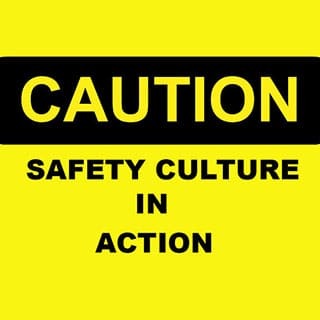 Just saying “We have a safety culture” is not complete information because as the definition dictates, you can have a negative safety culture if the attitudes, beliefs, perceptions and values that employees share in relation to safety are negative. 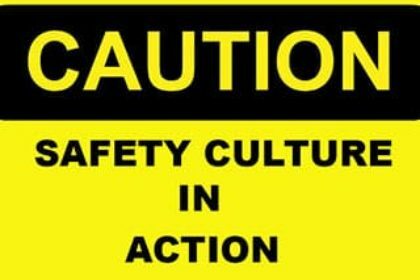 Even in environments that do place an emphasis on having a positive safety culture, the mention of the words “safety program” can still conjure thoughts of “keeping score”, filling out forms, going to trainings and attending meetings. In some of the most acerbic cultures, “safety program” goes hand in hand with delays, costs and a whole bunch of, “not this again”s. Good positive safety programs save money, promote camaraderie, improve training and increase job satisfaction. Even though all of these are important benefits, they are not why we should all strive to install a positive safety culture at our companies. Safety is important for one reason and one reason only. It is the reason we keep track of all of those metrics, fill our all of those forms, do all of that paperwork, attend all of those meetings, complete all of those inspections, etc. The one reason we need to have a positive safety culture at our companies is that the families of our employees entrust us with the safety and well-being of their mothers, fathers, aunts, uncles, cousins, grandparents and others. Job #1 is to return our employees back to their families at the end of the day in the same condition that they were when entrusted to us. This is why we do safety. All other reasons pale in comparison to Job #1. Never miss an opportunity to pause and remind your employees that Job #1 is why we have a safety program. It is too easy to lose sight of Job #1 in the midst of being bombarded by TRIRs, eMods, inspections, forms, JSAs, incident rates, etc. We all need reminders that these items are a means to an end…not the ends themselves. Or as my favorite QHS&E Director has on his email signature, “Asking me to overlook a simple safety violation would be asking me to compromise my entire attitude towards the value of your life.” I simply can’t say it any better, that is why we have safety programs.